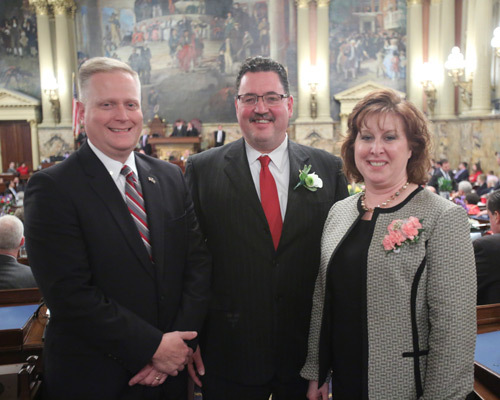 The 199th Session of the Pennsylvania General Assembly began on Tuesday, Jan. 6, when members of the state House and Senate took the oath of office. Pictured, from left, are area lawmakers, Rep. Fred Keller (R-Union/Snyder), Rep. Kurt Masser (R-Columbia/Montour/Northumberland), and Rep. Lynda Schlegel Culver (R-Northumberland/Snyder). The 2015-16 legislative session marks each of the lawmakers third term serving area residents in the Pennsylvania House of Representatives.